The City of Hartsville Centennial Tree Lighting features musical and dance performances as well as the unveiling of the Santa Claus mailbox. 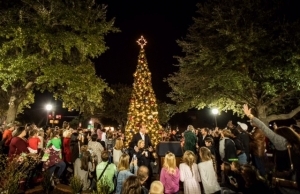 The 2018 Centennial Tree Lighting ceremony will take place in Centennial Park during the Downtown Holiday Open House & Centennial Tree Lighting on November 15, 2018. For more information, visit www.hartsvillefortheholidays.com.